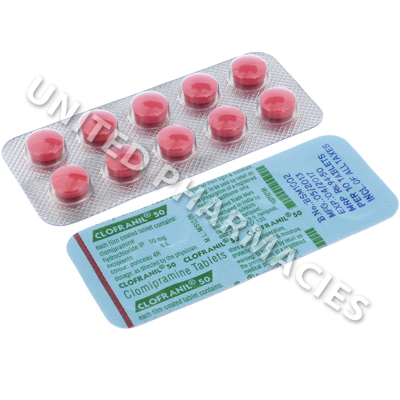 Clofranil (Clomipramine) is a medicine which is used to treat patients who are affected by OCD (obsessive compulsive disorder). This condition causes unwanted thoughts and the compulsion to perform activities over and over again. The active ingredient in this medication is a type of drug called a tricyclic antidepressant, and it works by increasing the quantity of a certain natural chemical (serotonin) in the brain which is responsible for maintaining the mental balance. 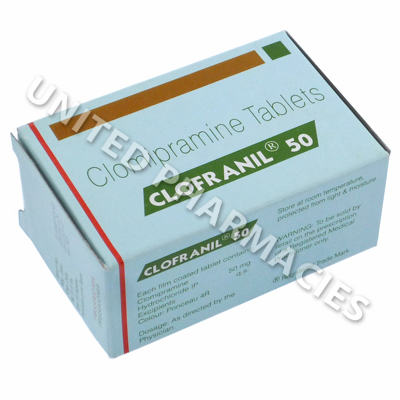 Clofranil (Clomipramine) is a medicine which is used to treat patients who are affected by OCD (obsessive compulsive disorder). This condition causes unwanted thoughts and the compulsion to perform activities over and over again. The active ingredient in this medication is a type of drug called a tricyclic antidepressant, and it works by increasing the quantity of a certain natural chemical (serotonin) in the brain which is responsible for maintaining the mental balance. Other conditions treated by this medication include anxiety, depression and pain. If your doctor has prescribed Clofranil (Clomipramine) tablets to you, it is essential that you strictly follow all instructions provided. At the beginning of treatment, patients are usually told to take it 3 times per day together with food. This is to allow the body to adjust to the medication. The prescribing doctor will then instruct the patient to take it once per day, just before going to bed. Patients are advised not to abruptly stop taking this medicine, as this may cause withdrawal symptoms. To avoid withdrawal symptoms, the prescribing doctor may need to gradually decrease the dosage. You are advised to report any side effects that you experience to your doctor. There is also a possibility of other more serious side effects occurring. See your doctor immediately if you notice difficulty controlling urination, pain in the eyes, tremors, stiff muscles, fever or any other reactions. In rare cases, antidepressant medications, such as this one may increase the risk of suicidal thoughts. This is considered to be more likely in patients who are younger than 25. Discuss the risks of treatment with your doctor before you start taking this medication. If you have taken an MAO inhibitor within the past 14 days, you must not take this medication. It is also necessary to wait at least 14 days after you have stopped taking this medicine before you take an MAO inhibitor. Always use Clofranil (Clomipramine) as you have been prescribed by your doctor. Never self-medicate or change your dosage without first consulting your doctor. The correct dosage can vary depending on your health, medical history, and the severity of the condition being treated.